I think by now I have tried all variations of this very healthy and tasty dish. I posted this recipe before using chopped onions, instead of pearl onions, and also with peas. 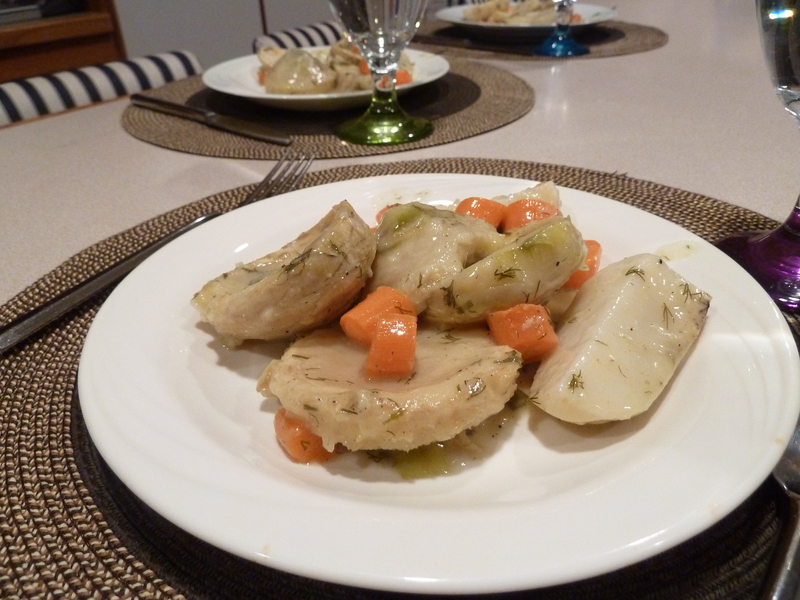 The basic ingredients are artichokes, potatoes, and carrots. You can use fresh artichokes or frozen artichokes. You can use pearl onions, chopped onions, or chopped green onions. You can use sliced carrots or baby carrots. You can use fresh dill, dried dill, or no dill. You can use white potatoes, Idaho, Russet, or any other kind of potato. You can serve as is, with feta cheese at the side, or sprinkle crumbled feta on top. Try some freshly ground pepper, too. Excellent family dish! How to make: In a big skillet or deep pan, arrange all the ingredients, including the olive oil, lemon juice and dissolved flour. Cover the veggies with water. Cover the pan and cook at low heat for about an hour. Serve hot or cold with feta cheese, if you have some.